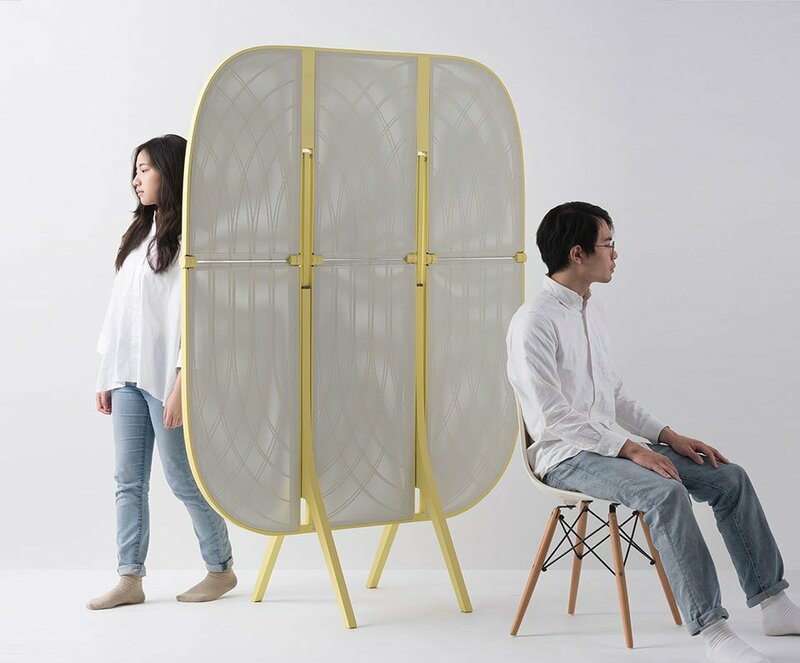 Laurel Hwang’s Plier is a room divider that can also perform the opposite of its original function. 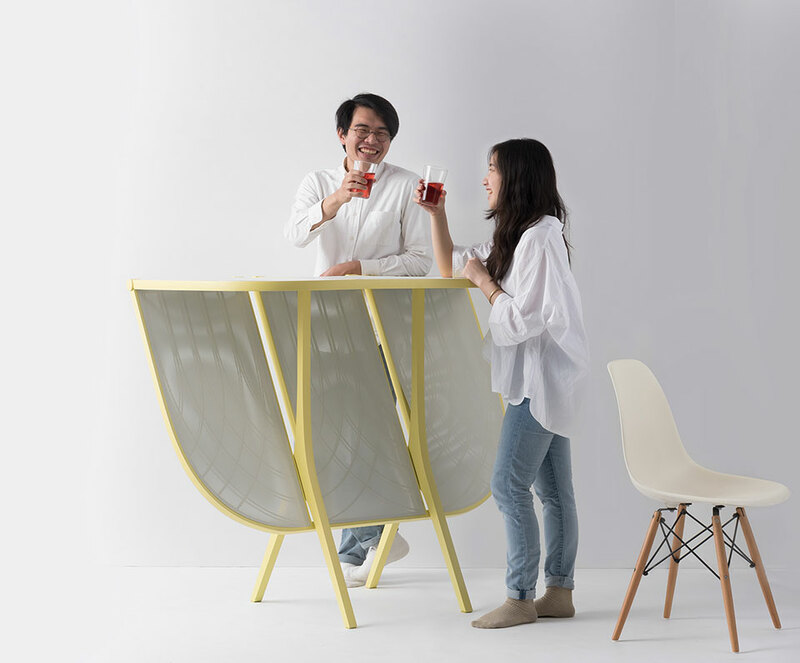 It has hydraulic pistons that let you fold its upper half down, turning the divider into a table. 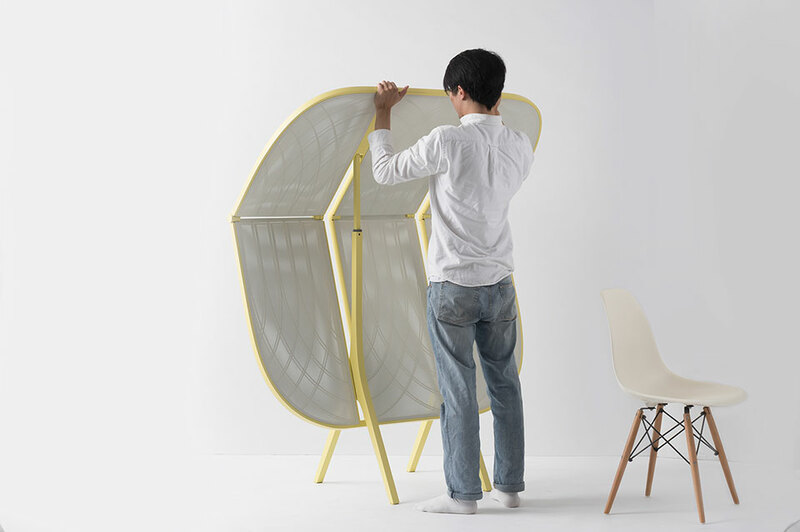 Its translucent surface alludes to its inclusive design.